Socks with Sperrys? A Fashion Conundrum? 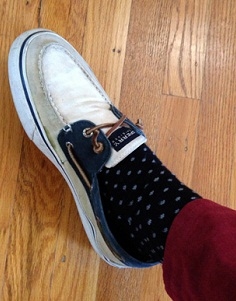 Sperrys, also called boat shoes or top-siders, have been worn for decades. 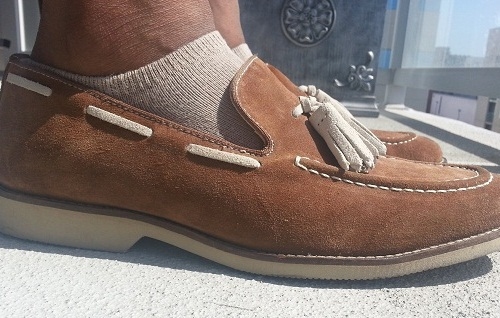 Made popular in the 80s, these shoes have always caused the question: “Do you wear socks with sperrys?” The argument and decision between fashion and comfort continue still today. Men and women alike have, for years, wrestled with the questions of wearing socks with sperrys. This question is brought on by personal preference and current fashion. Old or young, people seem to argue over the question of socks or no socks with sperrys. 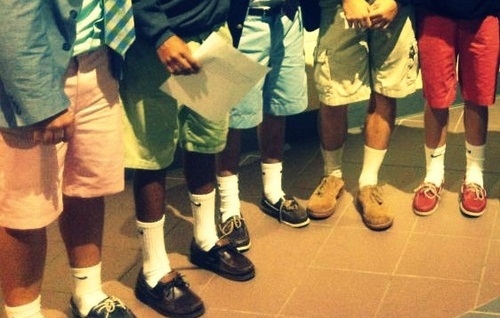 Many who feel it is ok to wear their sperrys with socks still seem to debate as to what kind of sock is appropriate. The question of which kind of socks with what kind of shoes has been a debate for many years. 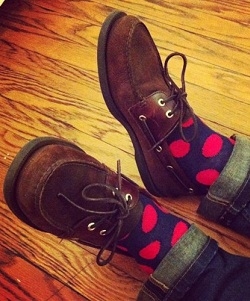 Sperrys with socks is no exception. In the 80s, either no socks or long, bright socks seemed to be the answer. Even presidents have been known to have a preference. Ronald Reagan and Bill Clinton always seemed to be photographed wearing either dark or very bright socks with their boat shoes. 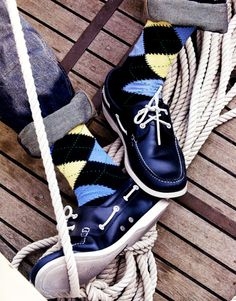 With today’s fashions being so variable, again I ask, do you wear socks with sperrys? Even those who agree that it is fashionably sensible to wear socks with sperrys, still argue over which kind of sock is acceptable. Some people are now finding no-show or hidden socks to be most acceptable. 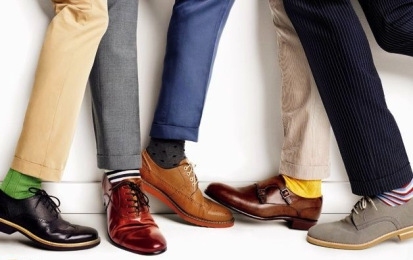 Long, bold color socks also seem to be a trend, showing an individual’s personality. It is considered an eccentricity. It seems the more eccentric, the better. 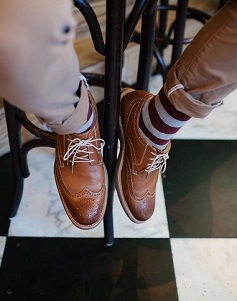 Long striped or bold socks seem to be favored among young men and women. Most of these young people even wear their pants (or skirts) in order for this fashion statement to be noticed. Women in their mid-20s to mid-30s tend to wear whatever is comfortable. Kayla, 26, from Michigan, states if she has to make a quick run for her children, she will wear whatever is comfortable, depending on weather. If she feels like wearing socks, she will. It seems most people are more about comfort and less about how others view their style. Calvin, 64, from South Carolina insists that he always wears socks, “I say socks. I don’t like going without socks much anymore.” Yes, the debate on socks with sperrys seems to be more of a personal preference regarding comfort. For those who believe hidden or low-rise socks should never be worn with sperrys; Sperry actually makes a no-show sock to wear with their shoes! Although some people seem to worry about socks with sperrys in a fashion sense, it seems most feel it is a choice regarding comfort. If you’re comfortable wearing socks, wear them; if not, don’t. In my personal opinion though, I would not wear socks at all if actually on a boat or at the beach. Soggy socks are not my idea of comfort!